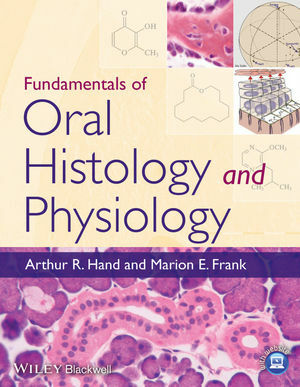 Fundamentals of Oral Histology and Physiology is a landmark new text streamlining the essentials of histology and physiology into one clinically accessible textbook. Written for predoctoral dental students, the book brings together structure, function, and clinical correlations for maximum retention and ease of use. Assuming a background in basic biologic sciences, this text focuses on the histology and physiology that students need to know to practice dentistry and to understand and evaluate the current literature, without repeating basic information learned in other courses. Fundamentals of Oral Histology and Physiology concentrates on Oral Structures and Features, including Development, Teeth, Tooth and Jaw Support, Mucosal Structure and Function, and Effectors. Arthur R. Hand, DDS, is Professor of Craniofacial Sciences and Cell Biology at the University of Connecticut Health Center. He has more than 180 peer-reviewed publications, was the founding editor of Advances in Dental Research, and serves or has served on the editorial boards of The Journal of Oral Science, Journal of Dental Research, Journal of Histochemistry and Cytochemistry, Biotechnic & Histochemistry and Acta Histochemica et Cytochemica. Prior to his position in academia, he spent 21 years as a scientist in the intramural research program of the National Institute of Dental and Craniofacial Research. He has directed a course for 1st year dental students on Oral Histology and Physiology for more than 15 years. Marion E. Frank, PhD, is Professor of Oral Health and Diagnostic Sciences and Director of the Center for Chemosensory Sciences at the University of Connecticut Health Center. Her basic and clinical research in the chemical senses is reported in more than 65 peer-reviewed publications and she has served on the editorial boards of the Journal of General Physiology, Journal of Neurophysiolgy and Chemical Senses. She obtained her doctorate from Brown University and began her academic career at the Rockefeller University before joining the School of Dental Medicine to teach Oral Physiology and Neuroscience and lead the research team of the NIH-sponsored Connecticut Chemosensory Clinical Research Center in Farmington.